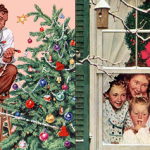 Probably the most iconic era from Christmas Past, the Victorian era defined how we celebrate and decorate for Christmas. 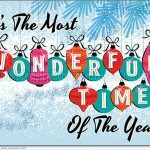 Here is our list of the best Victorian Christmas Decorations, if you’re looking to recreate a Dickens-style holiday around your home. If you’re looking for something more modern, but still nostalgic, check out our favourite Vintage Christmas Decoration ideas as well! 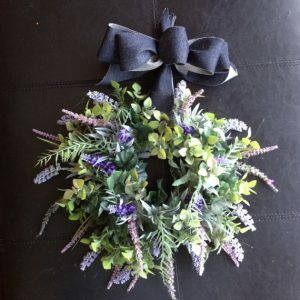 Not quite the same as we know them today, Victorian greenery would have been more natural, and subtle, like the examples here. There’s always something to be said about building your own, if you’re crafty enough. 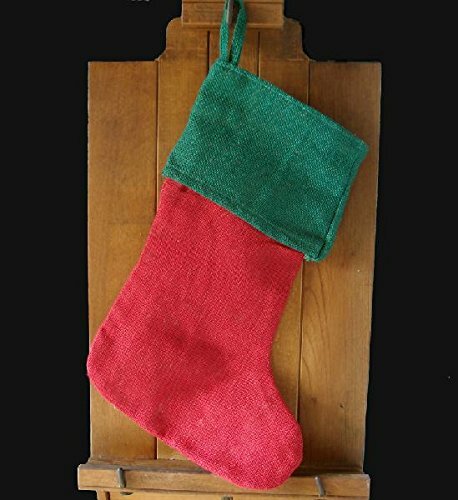 Check out our DIY Christmas Home Decor section for lots of tips. 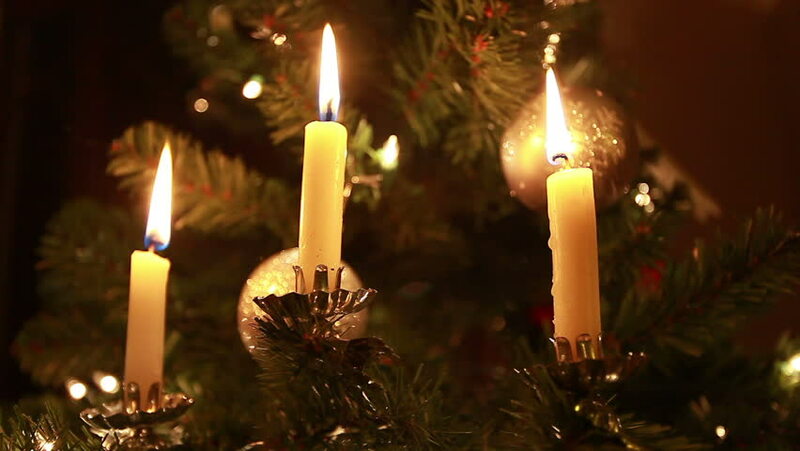 In Victorian Era the tradition of decorating Christmas Trees became really popular – and before the modern invention of fairy lights, small candles were affixed to the branches. If you wish to recreate the look, you have the option to risk the fire hazard, Christmas Tree Candles are still available to buy. Luckily there are companies that make fire-safe versions of these iconic Victorian Christmas decorations. 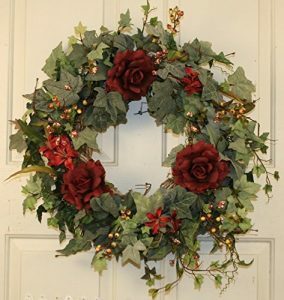 Usually made from dried flower, leaves, twigs and even dried fruits, modern recreations of these victorian Christmas decorations are stunning, and a brilliant addition to any home decor for the season, if if not strictly Victorian themed. 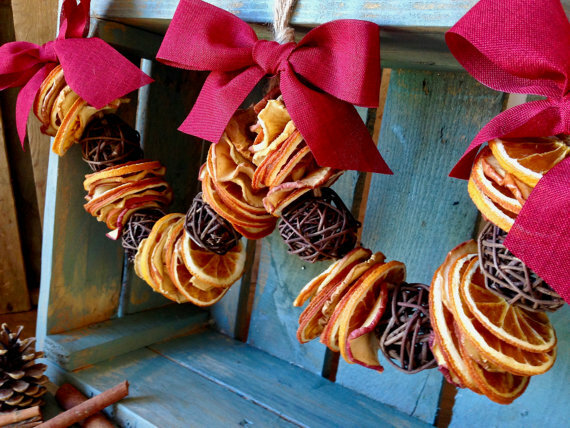 The Etsy creator of the garland above even sells a “Make Your Own Dried Fruit Garland” kit if you’re more the DIY type. There’s something extremely British about bunting. 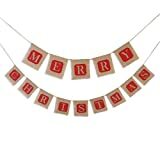 Stringing up these banners for any holiday, and Christmas in particular is festive and traditional. Have a look at a few of the Victorian-esque options here. 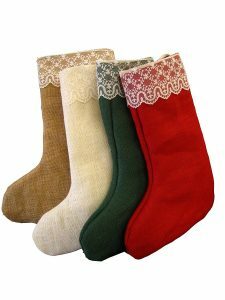 While not strictly Victorian, when you add a rustic stocking above a mantle to a Victorian theme you certainly invoke a very olde-time feel. 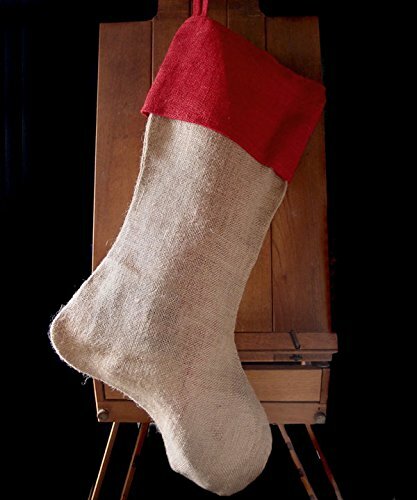 We suggest going with natural fabrics like Linen, Burlap, Plaid or Wool. 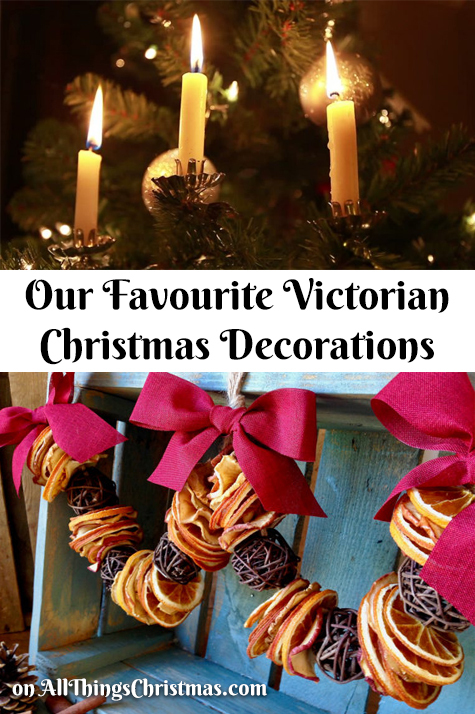 What is your favourite of these Victorian Christmas Decoration? Share on our Forum or comments below!